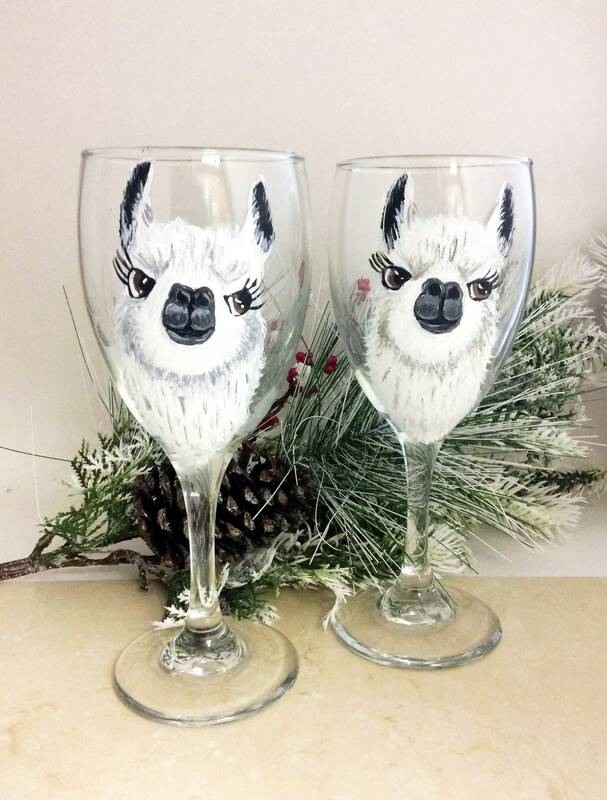 These adorable little Llamas would make a unique table settings for your dinner table and guests. 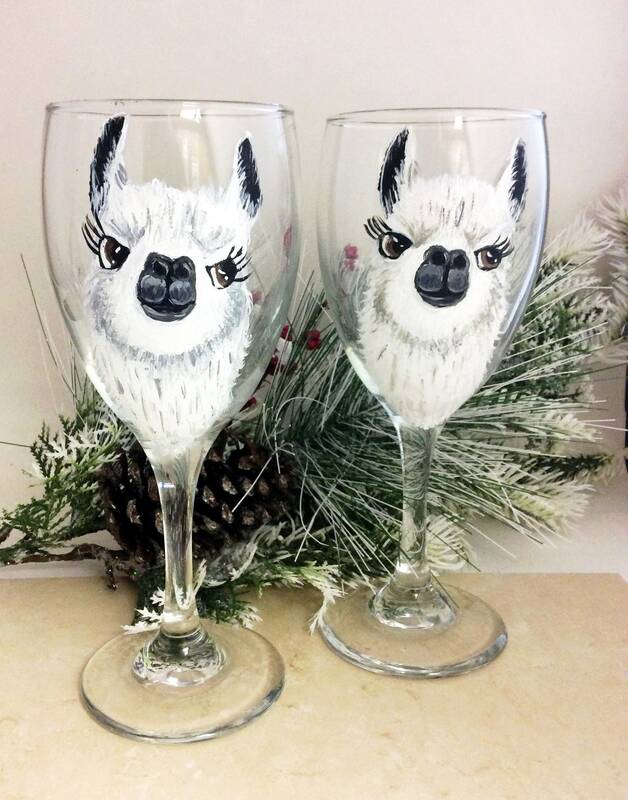 The glasses hold 10.25 of your favorite beverage and would make a great gift. All glasses listed are painted and ready for shipping! 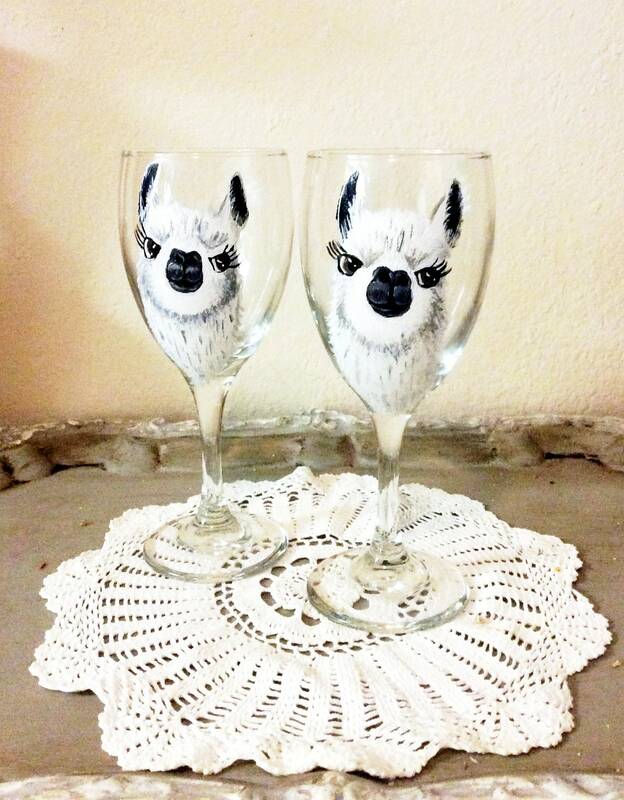 If you want them personalized extra time would be required for custom work and re-baking of the glass. 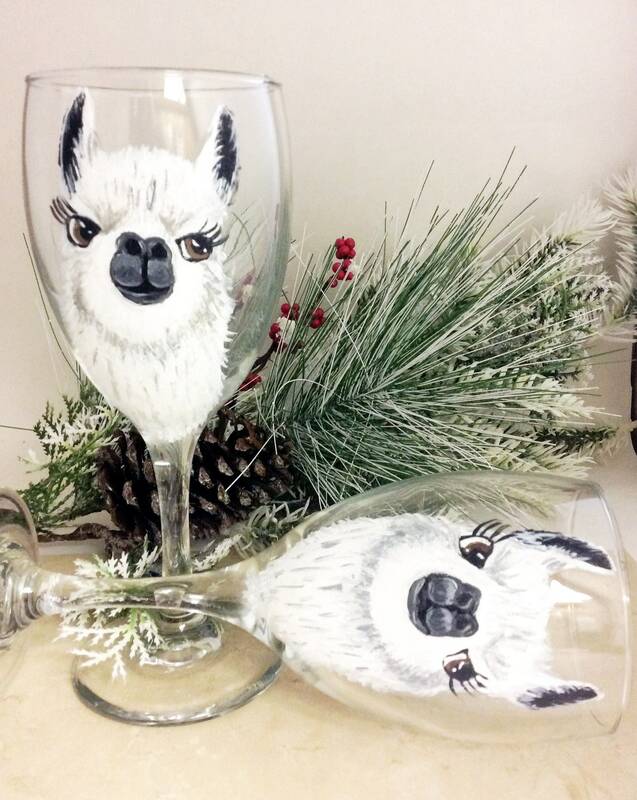 If you would like the glass personalized please email me and I would be more than happy to work with you, additional time will be needed to personalize and bake your one of a kind wine glasses.